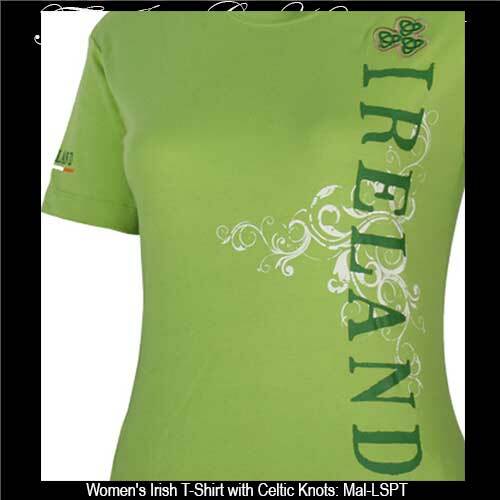 Women's Irish t-shirt is an Irish tea shirt with shamrocks that features a scoop neck collar. Made in Ireland Irish t-shirt features a green on green shamrock. I’m the Irishwoman your mother warned you about is the message on this women's Irish t-shirt. I’m the Irishman your mother warned you about is the message on this Irish t-shirt. Our assortment of t-shirts may very well include your next favorite design and you will look handsome with all your Celtic pride. Top the shirt off with one of our Irish flat caps or a baseball style Irish cap. 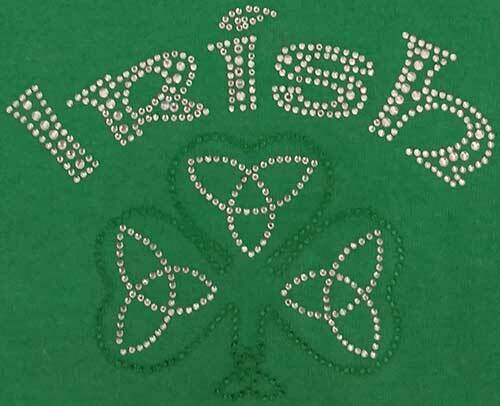 You may even want to layer by adding an Irish sweatshirt, many of which feature Celtic designs. We have these shirts in both pull over and hoodie styles and not surprisingly many are green. You may be interested to know that we also have long sleeve Irish t-shirts along with feminine styles in our Irish clothing for women page.